FERGUSON, Mo. 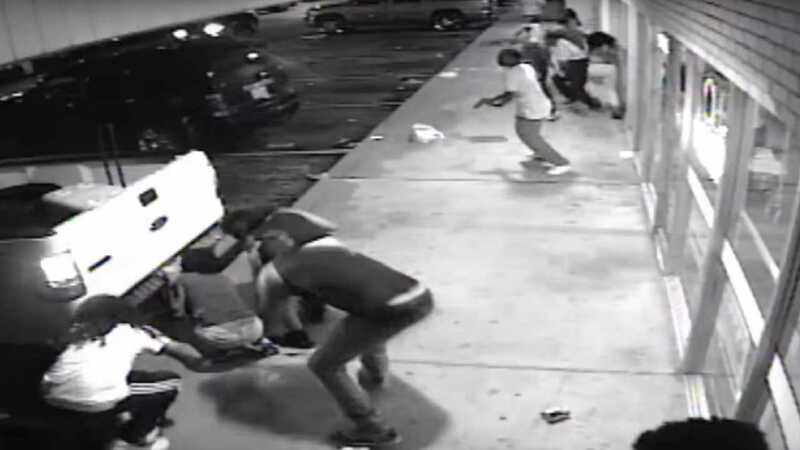 -- St. Louis County police have released surveillance video footage they say shows the 18-year-old black suspect who was critically wounded after being shot by police in Ferguson minutes before he fired a gun at plainclothes officers. Tyrone Harris Jr. was shot late Sunday after police say he opened fire on an unmarked police van. Police said a 13-second clip of security camera footage from a West Florissant Avenue insurance office that they released Tuesday afternoon shows him grabbing a handgun from his waistband in response to shots being fired during the Ferguson protests connected to the one-year anniversary of Michael Brown's police shooting death. Harris was in critical condition Monday at a St. Louis hospital. County police and Barnes-Jewish Hospital were unable to provide updates on his condition Tuesday. Harris' father disputed the police account Monday but declined to discuss his son's shooting Tuesday. Tyrone Harris Jr. has been charged with 10 felonies - five counts of armed criminal action, four counts of first-degree assault on a law enforcement officer and a firearms charge. Online court records show that Tyrone Harris Jr. was charged in November with stealing a motor vehicle and a gun, as well as resisting arrest by fleeing. A court hearing in that case is scheduled for Aug. 31.